Fancy trying your hand at winning on the scratchcards at Butler’s Bingo? Well have a look around and see what scratchcard games they have to offer! There are 20 scratchcard games to play on this site and guess what? They are all different and remember the Butlers Bingo only brings you some great games to have an instant win on. Please remember that all of the scratchcards open up in a new window so you can still see the main site. Here is the list of scratchcard games that may catch your eye. Slam Funk – This is a game of matching so match those basketball divas and win yourself a prize. Fancy this game? Then get those party shoes on and get playing! Plunder the Sea – get digging into the treasure chest with this game to get yourself a win and you will have three other players as sea creatures to see you win and popping lots of the bubbles. Super Zero’s – come be a superhero for the day and save the world with this amazing bingo game and there are big prizes to be won all the time. Hairy Fairies – come and join the fairies in this crazy, fun filled scratch card game to win yourself the money that you have always dreamed of winning. REMEMBER the fairies are hairy men dressed up really and they even have beer cans and pizza too! So if you fancy a laugh come and join this game. 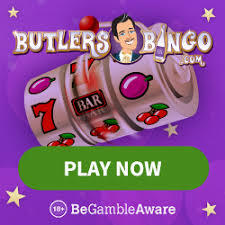 Butler’s Bingo have lots of mini games for you to try out and the Butler will even serve you with nothing but the best slot and scratch card games while you are playing your other bingo games. So get chatting to your fellow players in this UK bingo sites chat room and play all of your favourite games all at once! How fantastic is that?? Take a look at this list of mini games to help you make up your mind. Mermaid’s millions – go on a hunt in the treasure chests with Mermaids millions to win lots of that big cash but remember it’s a tricky game because all of the winnings are hidden by the mermaid and her father! So get swimming your way around in the deep sea. They have lots of free games for you to play and win on. Tomb Raider – Fancy being Lara Croft for a day? Then take the role of her Tomb Raider and play this game that’s full of danger and excitement and spin your way to winning on this fabulous slots game. Break Da Bank – WOW here’s another big money winner of a game! Steal all the money you can in the bank and find all the dollar signs to win on this super big scratch card game. So buy your scratch card now and get playing. Couch Potato – Get a chill out day and do nothing with this game of Couch Potato and finally be rewarded for being a couch potato for the day!